Rising Stars’ inaugural outreach tournament on October 28, 2018, was a resounding success both on and off the court. According to founder Paul Savramis, the tournament combined every component of Rising Stars: Education, Academics, and Community. Paul Savramis claims Rising Stars’ staff has been working for three years to develop new programs for area youth. The grassroots program initiative offers basketball teams, leagues, and camps at no charge for NY’s most underserved and at-risk students. According to Paul Savramis, areas served include Brentwood, Islip, Great South Bay, Patchogue, Saint Alban's, and Long Island City. 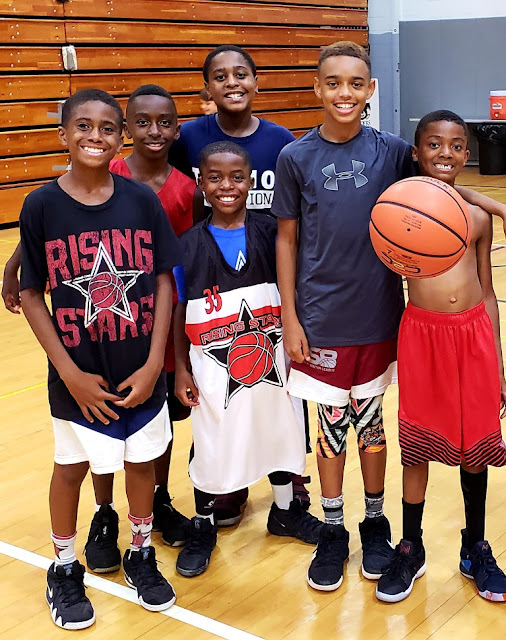 Children are enrolled in Rising Star at a young age and given the opportunity to do everything that all Rising Stars teams are able to do including summer camps at no charge. Enrollment for these programs also involves monitoring each student’s grades and attendance, weekly tutoring, and community service. Many are also given free family membership to a YMCA. These steps are taken to ensure that each child understands that the program is more than just athletics, says Paul Savramis. However, basketball remains at the program’s core and is what keeps it all together. The goal of this tournament was to help build a bridge between RSYF’s basketball component with academics and community. All three came together for the weekend where teams representing programs from all the boroughs of the city and Long Island came together. Savramis added, "This gave our outreach teams a great opportunity to test themselves against basketball clubs from all over the city." Paul Savramis was proud to announce that RSYF teams winning championships at the tournament were the non-profit Foundation’s talented 5th and 6th grades. These outreach programs have been an enormous success for Rising Stars, asserts Paul Savramis, and have helped grow the organization’s base and pipeline of applicants for the Scholar Athlete HS scholarship program. The Foundation’s outreach teams have seen incredible growth in the last three years, starting out with one boy’s team in 2016 to six boy’s and three girls teams for 2018. The goal for the grassroots programs is to continue the pipeline for academic scholarships for those children in grade school identified as needing support in high school. RSYF helps connect these at-risk youth to private educational scholarships for those children that show that they need it the most and provides the bridge underserved families need between school and community. Still, with all of the Foundation’s strengths off the court, Savramis stresses that the RSYF core strength and strategy remains in its basketball programs and the incredible power of teams. Simply stated, Savramis reminds that children want to be on a team. Being a part of teams open the doors to everything else and Savramis concludes, "We have yet to improve on the Rising Stars simple concept of Play Learn Grow."